How to build up your network? This was from Vicki, CSUF MBA Candidate — I’m building up my network and reaching out for career opportunities in Finance and Risk Management field. Do you know who else should I connect with? I figured out late in my life that the only way to build a diverse network and “break” into other circles is to literally get into other circles. There are the obvious ones that are directly related to your field of interest — associations, clubs, tradeshows, conferences, and even placement agencies. I had a staff member get an offer for a promotion (outside our company) based on a person he met attending a technical writing training on a product called Flare. But the real trick as I mentioned in my talk is to build a DIVERSE network. For example, when I started getting involved in my daughter’s chartered school fundraising, I got connected to a lot of the rich, philanthropic, community movers & shakers even though I wasn’t rich or a mover/shaker. I play a lot of tennis and have been in tennis leagues and tournaments in Orange County for the last 16 years. I constantly run into tennis “friends” everywhere I go in OC. More importantly, all those tennis players are valuable diverse connections. You may not play tennis, but it could be a Zumba class. I’m in a community choir and that’s connected me to over 50 people with diverse “offerings”. Letting people in these other circles know about your interest will likely lead to someone with an opportunity or know of someone else with a related connection. One tactic I’ve used (and my daughter tried and validated)…instead of asking for job openings, ask your network connection if they can help set up an informational interview with the Finance or Risk Mgr to get their insight into the job, their industry, what they would recommend for someone new to the field, etc. It’s a sneaky way to get exposure and at the very least, build repoire and get education. Don’t forget that people in your circle include businesses you frequent such as your insurance agent/carrier, landlord, and your parent’s vendors. Finance is not industry-specific therefore all business have this function. So tell them what you’re looking for. Lastly, don’t forget to stay connected with your classmates (not just business majors). The “poor” tony never understood that the campus “extra curricular” activities were not just fun and educational, it was to network with students outside my major who will move on (and up) into places that might need a Finance person. Don’t forget to have your elevator speech ready about what you are looking for, why, and what you’ve done to be qualified. Write it out, run it by someone, and practice practice practice. I had the longest session so far with the MBA group at CSUF. They had great questions such as — “what are your thoughts about recent articles and books on the topic of “failure”. I’m all for allowing and even rewarding for people to fail (aka. taking risk and allowing for innovation). However, what I haven’t seen much is how managers and organizations are going to implement this. This would require massive and radical changes in culture all the way to the shareholders. Allowing for failure is easy to talk about. Perhaps these new MBA grads will figure it out! 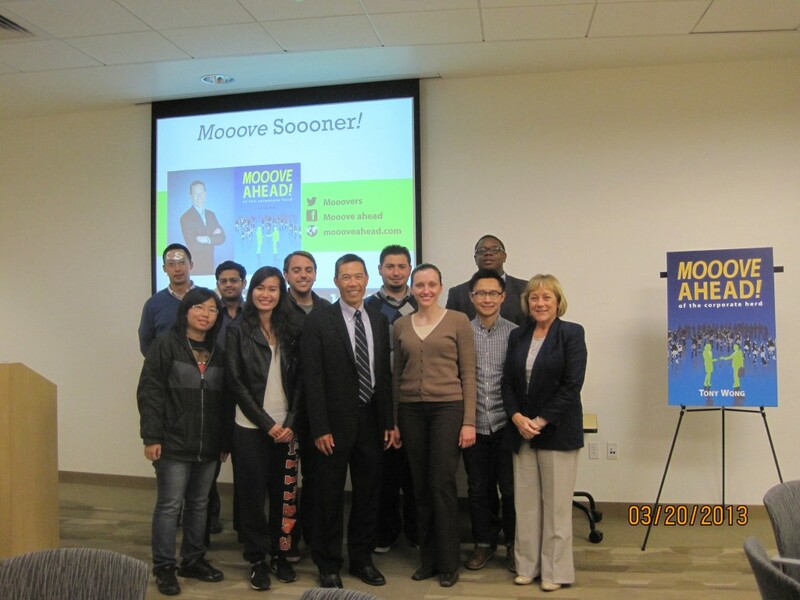 I was Keynote speaker yesterday at San Jose State Univ networking event put on by the College of Business and Financial Mgmt Assoc in conjunction with the College of Engineering and Computer Science. 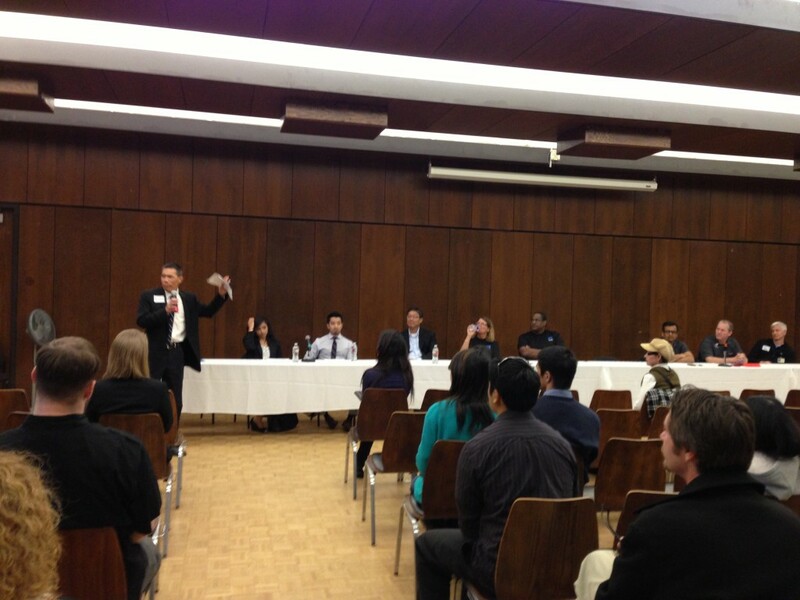 They had recruiting teams from Cisco, Polycom, NetApp, and Robert Half Associates to talk with students and participate in the panel sessions (in the photo). I received a lot of validations and interest from students about my book, its message, and my keynote. And they bought my book! 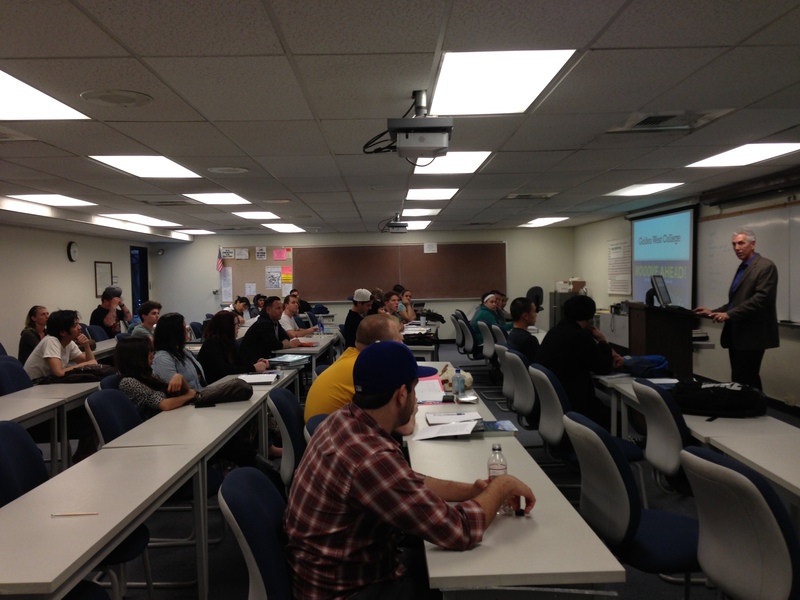 Enjoyable presentation experience last night at Golden West College Marketing class. “Don’t judge a book by its cover”…this held true with this class and its students. Some people would expect at a Jr college a bunch of young “kids”. But not the case with the evening classes which this was the case. Don’t let their dress-down casualness fool you. These students were mature, experienced, and motivated. I was impressed. And kudos to their instructor, Mr. Moore. akb48 dvd on How to build up your network? endrela69 on How to build up your network?